Manchester City’s summer transfer plans are set to be substantially less extensive than they were in the summer of 2017, with Pep Guardiola rumoured to be targeting just a single central midfielder and a forward as his team looks to kick on from their record breaking Premier League campaign this term. Jorginho of Napoli has emerged as the midfield player that the Blues are interested in, the Italian international has a wonderful technical skill-set and is very possession oriented, something that will fit seamlessly into City’s style of play. 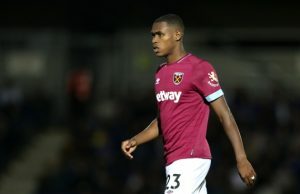 Having been beaten to the signing of Alexis Sanchez in January, the Spanish coach still has his eyes on a forward, although there have been very few names linked with a move to the Etihad Stadium. Kylian Mbappe is a player of significant interest to Manchester City, although there is an acceptance that the boat has been missed on that front and the only way the Frenchman ends up in Manchester will be if Paris-Saint Germain are brought under heavy Financial Fair Play restrictions. A player that few people are discussing ahead of the transfer window opening is Antoine Griezmann, despite the fact he was the most talked about player ahead of last summer. The Frenchman’s decision to remain with Atletico Madrid for one more season has limited the market for his services somewhat. Manchester United moved on to Sanchez and are now overstocked in attack, whilst Bayern Munich and Paris-Saint Germain are unlikely to want to part with the 100 million euros it would take to sign him. Real Madrid laid the foundations for such a deal by signing Theo Hernandez from Atletico last summer, breaking a long-held agreement between the two clubs not to sign players from each other. Yet, moving in the summer of 2018 there are other issues at the Estadio Santiago Bernabeu that need fixing before such a move can be considered, but they are a realistic option at the very least. Manchester City need a forward who can fit with their playing style, and despite often being stuck in a defensive system under Diego Simeone, Griezmann’s technical abilities are of the highest quality. Sergio Aguero’s goal-scoring statistics are still excellent, yet he isn’t the favoured option for the former Barcelona coach, there is also a belief that a forward who gives more to the team’s play than Gabriel Jesus is required. Irrespective of their vast expenditure last summer, Manchester City still have significant amounts of money to spend, albeit they don’t need to. Griezmann would certainly fit a need within their team and is one of the few players around who would markedly improve them. The French international has made no secret that he sees himself playing for one of the very best teams in Europe, and there aren’t many with as bright an immediate future as Manchester City at this precise moment. Leroy Sane and Raheem Sterling have enjoyed fantastic seasons playing from wide positions, however they both have the goal return of a centre forward due to the vast number of chances the Blues create. Griezmann, whilst capable of drifting wide, is a complete forward, he would thrive in such a system and would in turn improve those around them. 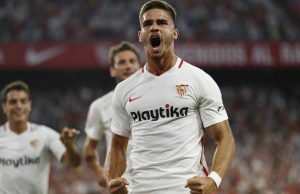 Los Colchoneros are a club which needs an injection of cash, the signings of Diego Costa and Vitolo came at a time when they still owe significant amounts of money for the construction of the Estadio Wanda Metropolitano, there is a fear in Madrid that Griezmann’s sale will help balance the books. Costa has already arrived as a replacement for the former Real Sociedad star, however in the matches played since January, they have actually looked more of a dynamic partnership which has carried Atleti to a second placed finish in LaLiga and the Europa League final. 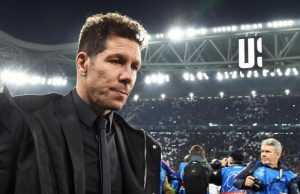 With the first half of the season going so awry due to a difficult summer, Simeone actually now has a team that he feels is close to being able to challenge for the Champions League again next season, provided there isn’t a significant departure. It’s very difficult to predict Manchester City’s plans in the transfer market, however they are one of very few teams who are in a position where they can afford to buy Griezmann and they are actually on the lookout for that kind of player. The decision not to pursue Sanchez any further once Manchester United became involved was an intriguing one, especially when the explanation given by club sources suggested that the Chilean would have broken the club’s salary structure. This isn’t something that has ever bothered Manchester City in the years of serious investment, and you’re wondering why all of a sudden it’s a problem, unless they had eyes on an alternate target after all.